Natural Wines are so last year. Oh, there’s the usual set of One Trick Phonies out there who will never stop evangelizing for Natural Wines. What else do they have? Natural Wine is their only identity. There’s an enormous world of wine out there, but they’ve chosen to live in Neverland like the Poor Lost Boys. Never add sulfites. Never fine. Never filter. Never call anything a fault. Never grow up. Neverland is a beautiful place, a wonderful make-believe place, a place where you can fly if only you have enough pixie dust and blind faith (the basic definition of biodynamics). Yet the newest trend in wine promises to overshadow Natural Wines. Or, at least, that’s what the folks at Climate Change Cellars are hoping. 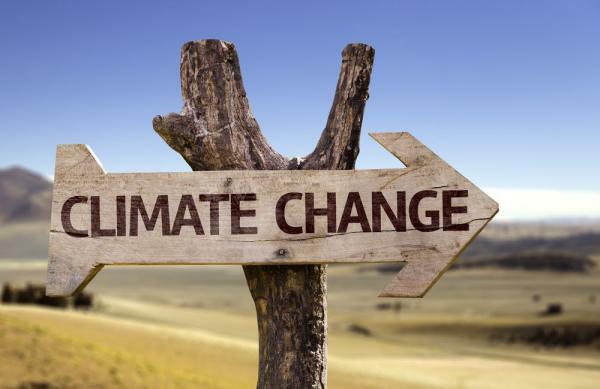 They’re betting that climate change will be the main focus of the wine business in a few years, and that socially conscious young wine lovers will be drawn to wines that speak to our new climate normal. They believe these young wine lovers will tire of Natural Wines, and, instead, fall in love with Natural Disaster Wines. I was lucky enough to taste several of Alma Geddon’s latest Natural Disaster Wines. While these wines may not be for everyone, they will be soon. I had smoke taint once, but my proctologist gave me something that cleared it right up. Wine grapes ripen in the summer, and that’s prime wildfire season. More and more often, vintages are “ruined” by the smoke of nearby wildfires. And it’s only going to get worse. The grapes absorb volatile phenols from the smoke, like guaiacol and eugenol, that can bring winemakers to their knees (known in the trade as the “eugenol kneels”). So, to answer the famous cinematic question, “Who ya guaiacol?,” Climate Change Cellars created “Smokebusters!” A soon to be classic, probably ubiquitous, style of Napa Cab. Chablis Chablis can’t keep up with the demand for its wines. Every vintage brings a natural disaster to those famous vineyards — if it’s not hail, it’s frost. If it’s not frost, it’s mildew. If it’s not mildew, it’s Steven Tanzer. Demand is up, supply is down. Enter Climate Change Cellars. Climate Change Cellars has been quietly buying up all the damaged fruit from the best vineyards in Chablis. Hail, mildew, sunburn — that’s the new terroir of Chablis. Shouldn’t the wines reflect that? It’s time to say goodbye to minerality, whatever that is, and welcome the equally ineffable aroma of desperation. Goodbye flinty, hello smoking gun to the head. The Climate Change Chablis is Natural Disaster Wine at its best. It may not appeal to Chablis purists, but don’t let those climate change deniers ruin your fun! Wine has entered a new phase, a more accepting and loving phase, a phase ushered in by Natural Wine zealots; a New Age kind of phase that says we don’t love our wines despite their faults, but because of them. Now you can taste Climate Change Chablis, in all its moldy, mildewy, taste of the tomb goodness, and be transported instantly to our world on the brink of being uninhabitable. And, when you think about it, isn’t that what wine is for? Alma Geddon wants to give back. The success of Climate Change Wines has been overwhelming. In gratitude, Alma designed a series of wines devoted to animals that are on the brink of extinction, and donates every penny of the profits to causes close to her heart. I loved the Polar Bear wine! It was a very emaciated Muscadet. For irony’s sake, I put ice in it. Climate Change Cellars is on the cutting edge of the Natural Disaster Wines movement.